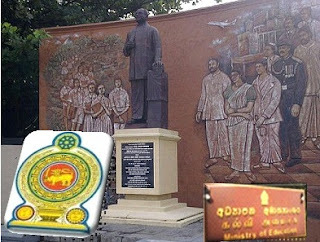 ඉලක්කයක් ඇතිව අධ්යාපන කටයුතුවල නිරත වුණා. I hope to serve my motherland by becoming a medical surgeon. 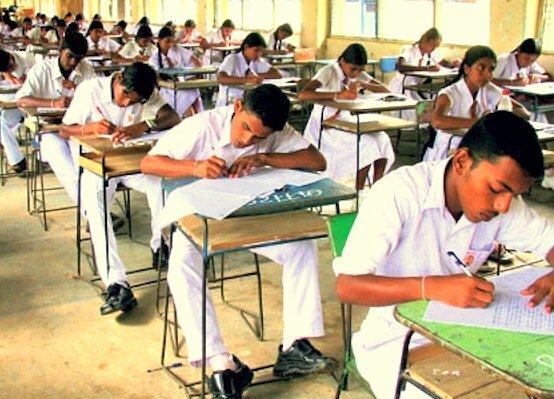 Sandaru Sathsara Balahewa of Mahinda College, Galle who emerged first in the island in the 2013 Grade Five Scholarship Examination said he worked to a target to be the all island first in the examination. "I was very confident and hopeful of this achievement," he said. 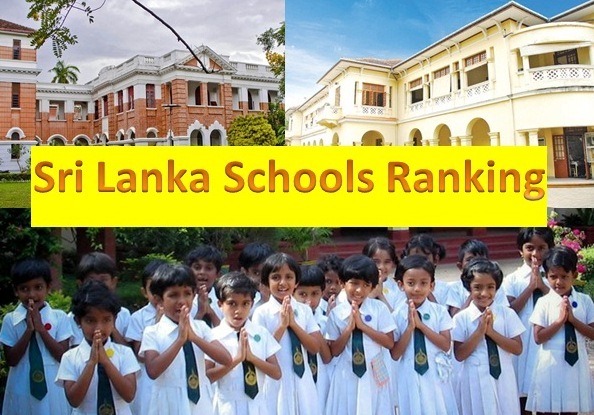 Sandaru emerged first in the all island examination scoring an aggregate of 198 marks. He is the youngest of a family of three with two elder sisters. 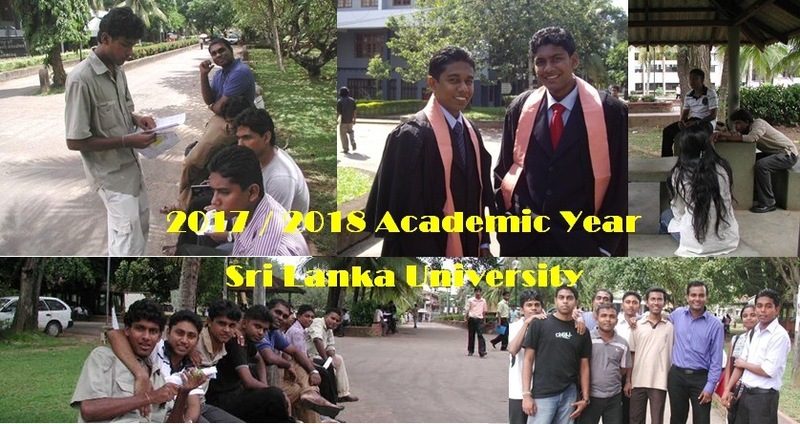 His father Harish Kumara is attached to Lanka Salts and mother Kumudini Wickramsooriya is a project engineer of the Road Development Authority. They reside at Richmond City, Galle. An elated Sandaru commenting on his success said even though he was desirous of gaining the highest aggregate, he worked without tension. 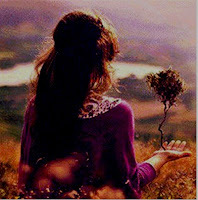 "I did not make it a burden on me. Everyday as usual I am up by 4.30 a.m and attend to my studies. I engaged in extracurricular activities as well. I enjoy TV news and children's programs and read newspapers," he said. "I am extremely happy with my success which was conveyed to me by my 'teacher mother' Damayanathi who was very confident that I will emerge on top. She encouraged me always stating that I had the potential to become the first in the island. Her encouragement led to this great accomplishment," Sandaru said. 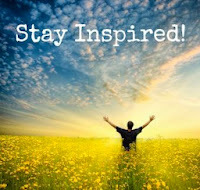 "My main hobby of reading books helped me score high marks in the examination. I participated in swimming and tennis and also in school competitions. My two sisters also helped me in my studies. I offer my gratitude to my class 'teacher mother' Dimithu Lakmali who constantly guided and assisted me in my studies specially in improving my hand writing. I am grateful to all my teachers who taught me from grade 1 led by our primary principal," he said. "I am much happy over being able to bring glory to my alma mater . I hope to serve my motherland by becoming a medical surgeon. I request my brothers and sisters to work to a target," Sandaru said. 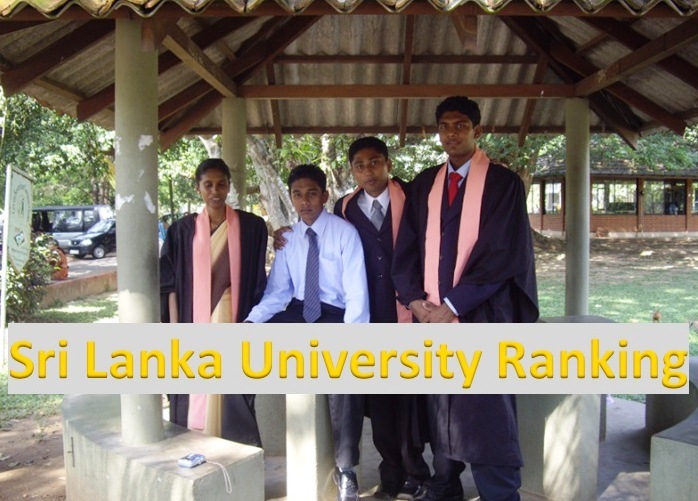 Meanwhile, three students obtained second place with each obtaining 196 marks. 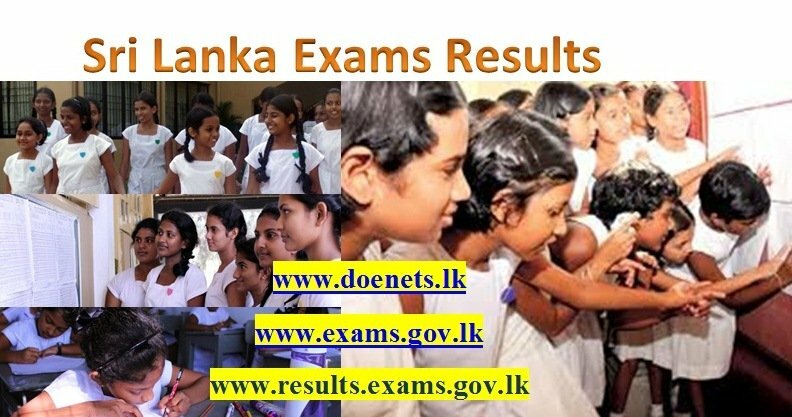 Kavindya Gimhani of Subharathi Mahamathya Vidyalaya, Godagama, Heshan Shanuka of Karagasthalawa Vidyalaya, Belihuloya and Gilani Viduranga of Bandaranaike Primary School, Hettimulla were placed second. 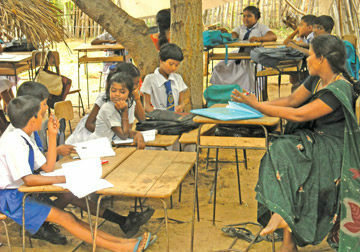 The pass mark for the scholarship exam this year was set at 160, Examination Department sources said. 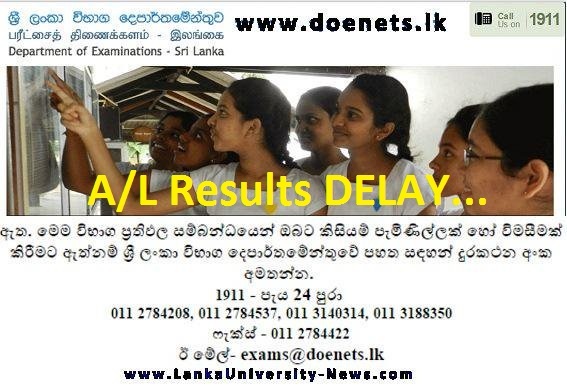 Meanwhile, Thamidu Swarna de Silva of Dharmashoka Maha Vidyalaya, Ambalangoda, Shenuka Dulanjana Ariyaprema of Theraputta Primary Vidyalaya, Ambalanthota, Nuransi Ronesh Gamage of Vidyankara Primary School, Opanayake, Isuru Kelum Kumara of Assadduma Subarathi Primary School, Kuliyapitiya and Sajani Sadisna Wijerathne of Vishaka Balika Vidyalaya, Kuliyapitiya have obtained 195 marks each. ඉලක්කයක් ඇතිව අධ්යාපන කටයුතුවල නිරත වුණා. ලංකාවෙන්ම පළමුවැනියා වේවි කියා මා තුළ දැඩි විශ්වාසයක් තිබුණා. 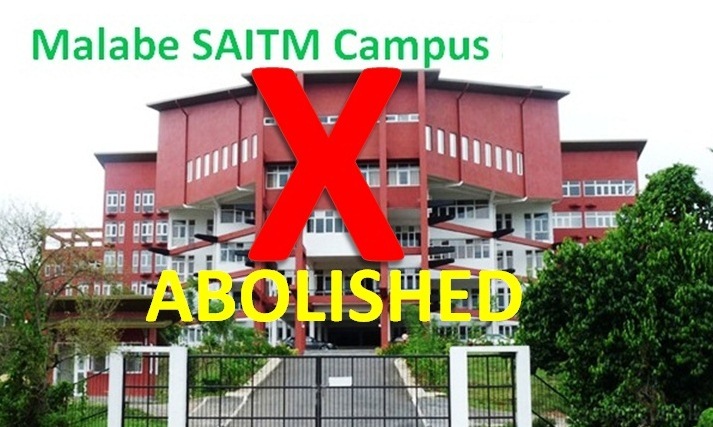 කාලය අපතේ නොයවා එදිනෙදා අධ්යාපන කටයුතු එදිනෙදා කිරීම නිසා මේ ජයග්රහණය ලබා ගැනීමට හැකිවුණා යෑයි මෙවර පහ වසර ශිෂ්යත්ව විභාගයෙන් ලකුණු 198 ක් ලබාගෙන ලංකාවෙන්ම පළමුවැනියා වූ ගාල්ල මහින්ද විද්යාලයේ සඳරු තත්සර බාලහේවා සිසුවා කීවේය. මෙම ජයග්රහණයෙන් සඳරු තත්සර සිසුවා දැඩි සතුටට පත්ව සිටින අතර ඔහුගේ තොරතුරු සොයා ඊයේ (1 දා) පෙරවරුවේ අපි ගාල්ල මහින්ද විද්යාලයට ගියෙමු. ඉතා සැහැල්ලුවෙන් සිය ජයග්රහණය පිළිබඳව අදහස් දක්වමින් සඳරු තත්සර සිසුවා මෙසේද කීවේය. මා විභාගයට ඉතා සැහැල්ලුවෙන් මුහුණ දුන්නා. පාසලේ එදිනෙදා වැඩ එදිනෙදා කළා. 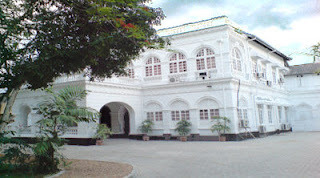 උදේ පාන්දර 4.30 ට නැගිටලා පැයක් විතර පාඩම් කළා. රාත්රියටත් පාඩම් කළා. 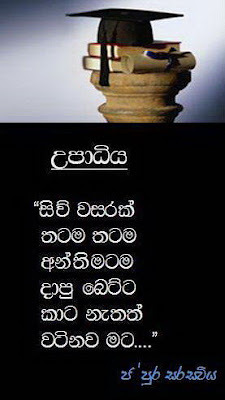 රූපවාහිනි ප්රවෘත්ති බැලුවා. පුවත්පත් බැලුවා. ඉතා සැහැල්ලුවෙන් තමයි අධ්යාපන කටයුතුවල නිරත වුණේ. ඇත්තටම මට මේ ජයග්රහණය ගැන ගොඩක් සතුටුයි. මේ ගැන මට මුලින්ම කිව්වේ දමයන්ති ගුරු මෑණියන්. මා දැනගෙන හිටියා මා ලංකාවෙන්ම පළමුවැනියා බවට පත්වෙනවා කියා. 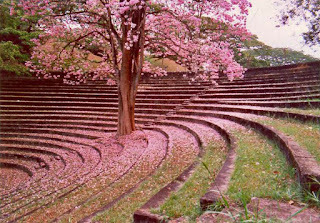 ඒ ගැන මට දැඩි විශ්වාසයක් තිබුණා. පාසලේ ගුරුභවතුන්ද මේ ප්රතිඵලය ගැන බලාගෙන හිටියා. මා විනෝදාංශ වශයෙන් කළේ පොත්පත් කියවීමයි. මා නිතරම පොත්පත් කියවනවා. මේ ජයග්රහණය ලබා ගැනීමට පොත්පත් කියවීමද මට දැඩි පිටිවහලක් වුණා. ඉගෙනීමට අමතරව පාසලේ බාහිර වැඩත් කළා. ටේබල් ටෙනිස්, පිහිනුම් වැනි තරගවලට ඉදිරිපත්වෙලා ජයග්රහණ ලබලා තියෙනවා. ඉංගී්රසි භාෂා හා සිංහල භාෂා තරගවලට ඉදිරිපත් වුණා. මගේ අක්කල දෙන්නා අම්මා තාත්තා මට ගොඩක් උදව් කළා. පාසලේ විදුහල්පතිතුමා ඇතුළු ආචාර්ය මණ්ඩලය මේ අවස්ථාවේදී මම ගෞරවයෙන් සිහිපත් කරන්න ඕන. මගේ පන්ති භාර ආචාර්යතුමිය වන දිමුතු ලක්මාලි ගුරු මෑණියන් පළමු වසරේ සිට පහ වසර දක්වා මට උගන්වපු සියලුම ගුරු භවතුන් මේ අවස්ථාවේදී සිහිපත් කරනවා. මා අමතර පන්තිවලට ගියා. දමයන්ති ගුරුතුමිය මගේ අත්අකුරු හැදුවා. 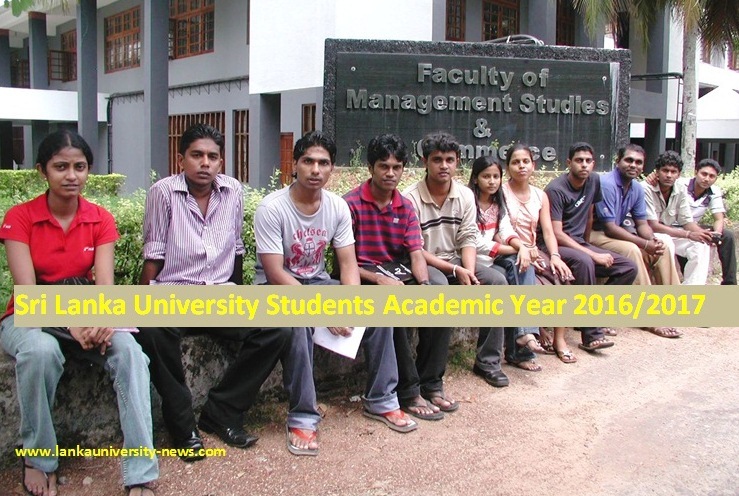 වරුණ නිශාන්ත සර්ගේ අමතර පන්තිවලටත් මා ගියා. අපේ පාසලේ ප්රාථමික අංශයේ විදුහල්පතිතුමියත් මේ අවස්ථාවේදී ගෞරවයෙන් යුතුව සිහිපත් කරනවා. මහින්ද විද්යාලයට කීර්තියක් ලබාදීමට හැකිවීම ගැන මම ගොඩක් සතුටුවෙනවා. අනාගතයේදී ශල්ය වෛද්යවරයකු වී රටට දැයට සේවය කිරීම තමයි මගේ බලාපොරොත්තුව. විභාගයට මුහුණ දීමට සිටින නංගිලා මල්ලිලාගෙන් මා ඉල්ලා සිටින්නේ කාලය අපතේ නොයවා එදිනෙදා වැඩ එදිනෙදා කිරීමෙන් ඉලක්කයක් ඇතිව වැඩ කිරීමෙන් මේ වගේ ප්රතිඵලයක් ලබා ගන්න පුළුවන්. මෙම සිසුවාගේ පන්තිභාර ගුරුතුමිය වන දිමුතු ලක්මාලි ගුරුතුමිය මෙසේ කීවාය. සඳරු දක්ෂ දරුවෙක්. අපට තිබුණේ මේ දරුවාට අවශ්ය මග පෙන්වීම කරන්න පමණයි. මේ දරුවා ලංකාවෙන්ම පළමුවැනියා වේවි කියලා අපි දැනගෙන හිටියා. පහ වසරේ ගුරුවරු පස්දෙනාම මේ දරුවාට උදව් කළා. විදුහල්පති වසන්ත සිරිවර්ධන මහතා පාසලට මෙම සිසුවා ලබාදුන් කීර්තිය සමග අප සමග පැවැසුවේ මෙවන් අදහසකි. මේ ළමයා දක්ෂ දරුවෙක්. ලංකාවෙන් හොඳ ජයග්රහණයක් ඈ අපේ පාසලට ලැබේවි කියලා බලාපොරොත්තුවෙන් හිටියා. ඒ බලාපොරොත්තුව ඉෂ්ඨ වුණා. සඳරු සිසුවාට අපේ සුභ පැතුම් එක්කරනවා. සඳරු තත්සර සිසුවාගේ පියා හරිෂ්කුමාර මාලගේ මහතාය. ඔහු සෝල්ට් ආයතනයේ සේවා සැපයුම් හා මිලදී ගැනීමේ කළමනාකරු වශයෙන් සේවය කරන්නේය. මව කුමුදුනි වික්රමසූරිය මහත්මිය ගාල්ල බද්දේගම ප්රධාන මාර්ගයේ ව්යාපෘති ඉංජිනේරුවරිය ලෙස රැකියාව කරන්නීය. ඇය තම පුතුගේ ජයග්රහණය ගැන මෙසේ කීවාය. ඇත්තටම ගොඩක් සතුටුයි. පුතා අධ්යාපන කටයුතුවලට අමතරව විෂය බාහිර ක්රියාකාරකම්ද කළා. චිත්ර තරගවලින් අන්තර් ජාතික මට්ටමේ ජයග්රහණය ලබා ගත්තා. 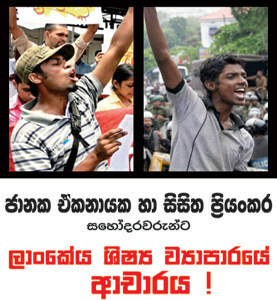 අක්කල දෙන්නා ගොඩක් උදව් කළා. පුතාගේ අක්කලා දෙන්නා වන ඉමාෂ ඩිල්පාණි බාලහේවා හා පබසරා හංසන්ති ගාල්ල සවුත්ලන්ඩ්ස් විද්යාලයේ ඉගෙනුම ලබනවා. පුතාගේ ජයග්රහණය ගැන අප බලාපොරොත්තුවෙන් හිටියා. පුතා තමන්ගේ වැඩ තමන්ව කරගන්නා ළමයෙක් බවද ඇය කීවාය.